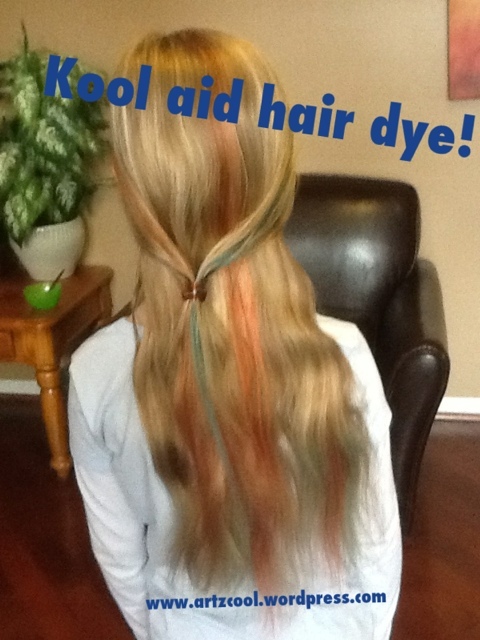 Cool Kool-Aid Hair | ARTZCOOL'S BLOG! You are just too much Ellen. So impressed. 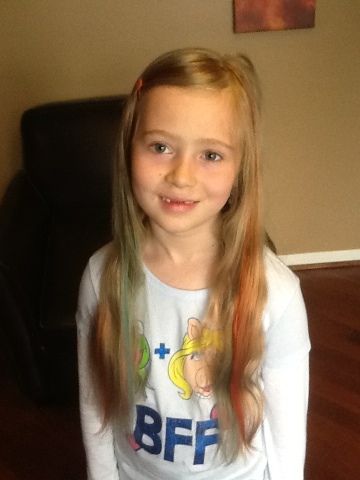 Sam was impressed too… For once she is looking forward to going to school on a Monday! Lol… Not sure what I’m going to have to do next Sunday though! 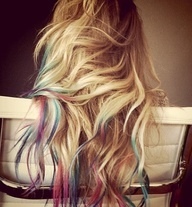 THAT IS AWESOME would it work with dark brownish maybe blackish hair? I am not sure, I definitely think you would have to let it sit for longer…the great part is that it will cost you less than a dollar to try! If you really want it to be brighter, you could bleach a few sections of your hair, I’m sure it would show more… Let me know how it turns out if you try it! By the way, if anyone else is wondering, It does wash out! 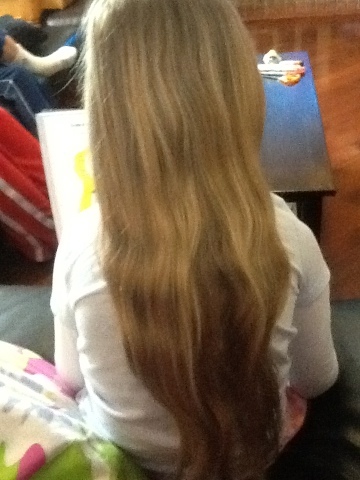 My daughters hair is back to normal now! 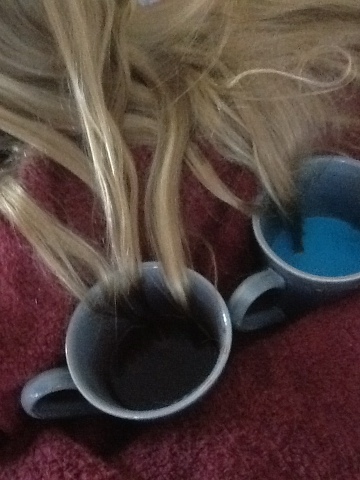 I’ve been dying my hair with koolaid and it definitely works well. The purple turned auburn in my hair. I think you have to bleach it in order to get a real purple color. I haven’t done multiple colors yet, but I want to do that soon. Thanks for the tips on how to do more than 1 color. How long did it take to wash out? It took about three weeks for it to totally wash out. I have heard from other people that it lasted a lot longer though. My daughter’s hair is naturally blonde, maybe it is more permanent if your hair is bleached. I guess to be sure, do a test strand…. But, we have done it a couple times, and it worked well for us! Let me knw how it worked for you. 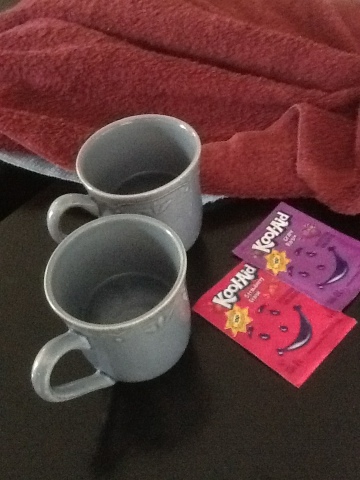 Dyed mine with purple and red. The purple faded but the red is seven months strong and the only reason some of it is gone is because I’ve cut it off so beware if you want it to wash out! Ooo good to know thanks! I have heard from someone of Pinterest that it can be permanent…I wonder if it reacts differently with hair that has been lightened, because it washed totally out of sam’s hair in a couple weeks! We have done it a couple times. I guess it would be smart to try a test strip first… so use with caution everyone! I have natural blonde hair that actually looks a little bit darker than your daughter’s. 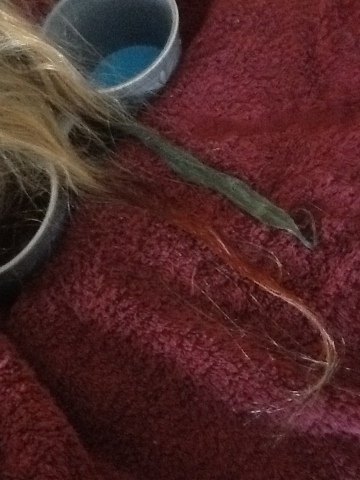 I also had a friend with brown hair that did just the red and she had a tint in her hair for quite a while too. 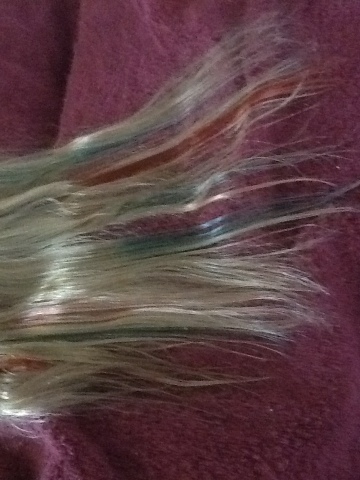 I really want to do it but my hair is dark brown and im scared the colour wont come off! HELPP!! 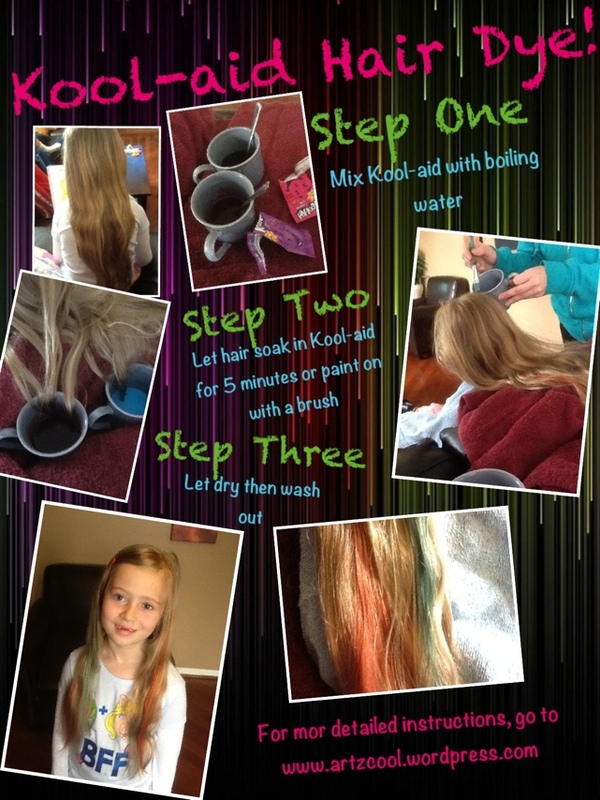 I am not sure the colour would even show up in your hair. I would say that if the hairspray works for you, then use it! 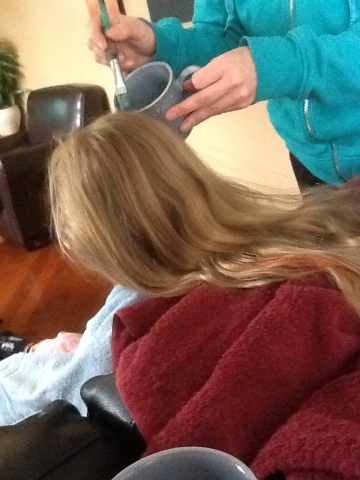 We did also try the manic panic colour, and that worked pretty well, and washed out in a few weeks…. Can you do something for Friendship day since it is on june 8th PLEASEE!!! !